We hope you like food, because this area has it all – from tiny little holes in the wall to haute cuisines and everything in between. Bodo’s – Bagels made fresh daily and topped with anything you can imagine – cream cheese, egg, bacon, cheese, and more – breakfast at Bodo’s will fill you up and fuel you for your day. Bluegrass Grill – A newer addition to the local food scene, breakfasts here are huge and filling. Favorites include Eggs Benedict and French toast, plus there are always vegetarian offerings. Spudnuts – A local tradition, spudnuts are donuts made with potato flour. Trust us, these are too good to miss. The Nook – A local favorite on the Downtown Mall, this is where you want to stop in for your sausage biscuits with gravy or a stack of pancakes. Atlas Coffee – A little shop near UVA that is a favorite with students. The owners offer freshly baked scones from their family recipes, as well as locally-made Carpe donuts. C’ville Coffee – A favorite with local parents, due to the children’s play area in the back. Ask for a Honey Bunch to nibble while you drink your coffee. Mudhouse – Located on the Downtown Mall, the coffee will make any day seem better. Shenandoah Joe’s – Located between Downtown and the University area, this shop has great coffee and a never-ending selection of baked treats, plus lots of comfortable couches and chairs so that you can drink your coffee and read in comfort. Bakeries – Let them eat cake. And cookies. And pies. Albemarle Baking Company – Located in the Main Street Market Building, just a block away from the Downtown Mall, ABC (as it’s known) has amazing breads, decadent desserts, and more. Famous for their Princess Cake, which is an amazing cake that defies description. Breadworks – A bakery between Downtown and the University area that specializes in breads. MarieBette Café and Bakery – Located just off the Downtown Mall, MarieBette offers European style bread, pastries, espresso, and a full menu of breakfast, brunch and lunch. Lunch – Don’t eat at your desk! Meet a friend and have a great meal. Bellair Market – Located in an unassuming gas station at the intersection of Rt. 29 and Rt. 250, this local favorite offers up sandwiches made from premium ingredients with some interesting homemade condiments to add flavor. Make sure you get some of their dilly potato salad on the side. Revolutionary Soup – With two locations in town, Rev Soup offers healthy, filling soups, plus sandwiches and salads. Christian’s Pizza – A great place to take your hungry offspring, Christian’s sells both whole pizzas and pizzas by the slice with a variety of great toppings. There are three locations – Downtown, the UVA Corner, and Pantops Mountain. Casual Dinner – You just want to grab a quick bite to eat, without having to get all dressed up. Continental Divide – A tiny place on Main Street across from the train station, locals know to get there early or have to wait for a table. The menu is Tex-Mex with a modern twist. Boylan Heights – The best burgers you will ever eat! Located on the UVA Corner, Boylan’s beef is sourced from local farms. Vegetarian options available. Make sure you try their deep fried potato salad. Just trust us on that one. Fardowners – Located in the village of Crozet, the menu is filled with local foods, beers, and wines. Date Night Dinner – You feel like dressing up and eating somewhere a bit nicer. Duner’s – Established in 1983, Duner’s quickly became a local favorite. Located five miles west of town in Ivy. The menu changes daily and highlights fresh local ingredients. Tavola – Located in the Belmont neighborhood just a mile from Downtown, Tavola’s menu is what happens when you blend Italian and Virginia cuisine and use mostly fresh, local ingredients in season. Celebration Dinner – It’s your anniversary or another big event. Dinner needs to be fabulous. 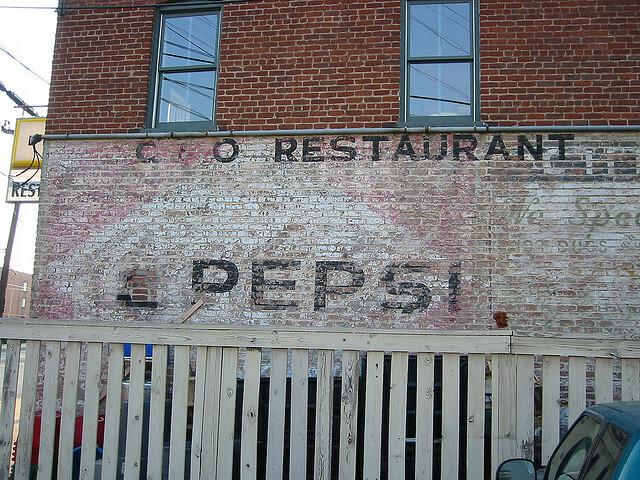 The C&O – Located in an unassuming old brick warehouse, the C&O has been earning high praise from food critics around the world since it opened in 1976. The Ivy Inn – Located in an old house just a mile west of the University, but it feels worlds away. The menu is American cuisine made from local, in season ingredients. The Old Mill Room at the Boars Head Inn – Come hungry and plan to have your trousers feel a little tight when you leave. The food here is excellent and the service is impeccable. Good food requires good drink and this area delivers! The tradition of fine wines, beers, and ciders goes back to Thomas Jefferson himself and it is possible to buy beers and wines based on Mr. Jefferson’s research and recipes. Central Virginia has the perfect environment for growing grapes, which is why there are so many delicious vineyards in the area. We suggest you check out the Monticello Wine Trail website for a complete list of vineyards in the area. Charlottesville is also the home of a numerous breweries, taphouses, and other establishments that specialize in creating outstanding beers. Plan to spend some time on the Brew Ridge Trail, which winds through Albemarle and Nelson Counties. Local breweries have won medals at the country’s top beer festivals. Might have to frequent Atlas coffee more often. Pretty cool little spot.